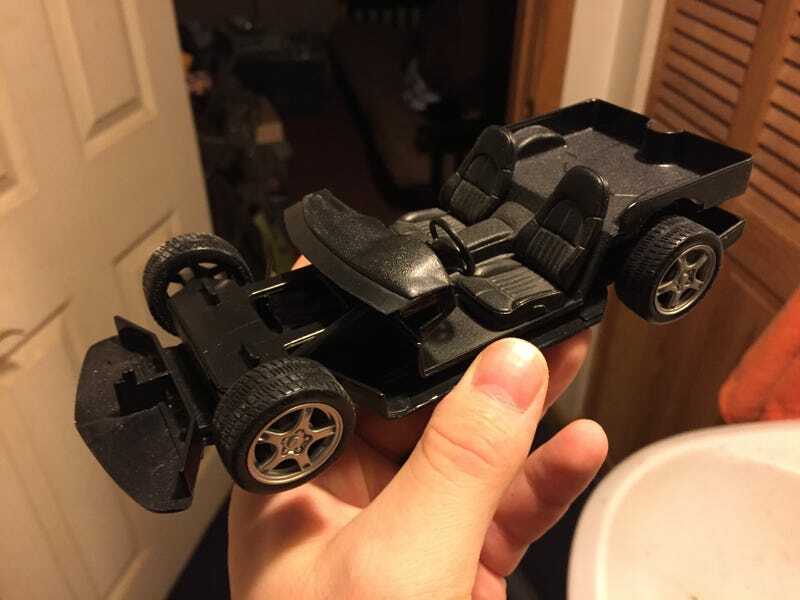 So when I disassembled this diecast car to customize, the front steering mechanism sort of popped of, so I never saw ‘how’ it was put together. As I’m getting closer to completing my custom Corvette, I need to figure out how this goes back together. As seen above, the steering is like a U bracket, and because of the ‘nub’ (left side of the bracket), I’m guessing the steering wheel is suppose to set in there. I think this is how it’s suppose to be, but again, I’m guessing. Here are the problems. The first problem is that the tires seem to catch on something, preventing them from turning. Though this might have to do with differences in height between each tire, so I guess the question might be “how can I get them even?”. Secondly, if I put the diecast body on top of the base, the wheels rub against the body, which is a no-no. Does anyone have an idea on how to remedy this? Or a link that can explain it? I couldn’t find anything. Any and all tips will be tried. Thanks, and as always, happy diecasting.